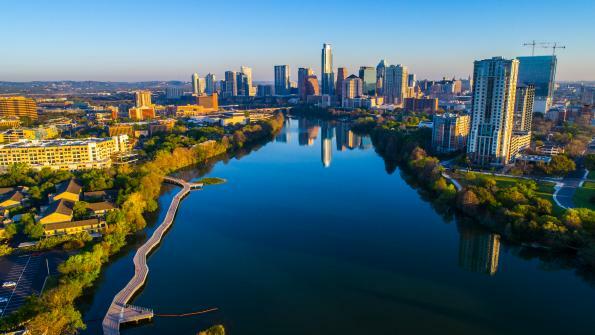 Adoption of smart solutions is not equal across the board, so Austin is reaching out to its underserved and unheard communities to increase technological buy-in. Nearly 150 people will move to Austin today. Another 150 will move in tomorrow. And another 150 the day after that. The city adds about 1,000 residents a week. Every week. It has topped Forbes’ list of fastest-growing American cities four years running. 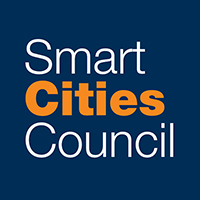 “We’re obviously doing something right,” said Austin City Council Member Ann Kitchen, kicking off a day-long workshop it won through the Smart Cities Council Readiness Challenge Grant program. But Austin aspires to do much better. It tops another list that it wishes it didn’t: most economically segregated. The city council has already called for a smart cities blueprint, which participants at the Readiness Challenge Grant Workshop helped shape. In particular, Kitchen called on participants to help the city set priorities and coordinate efforts, but to do so in a way that makes a meaningful difference for people. It’s a sentiment the Mayor Steve Adler echoes. Austin’s success isn’t shared equally. The University of Toronto’s Martin Prosperity Institute found more economic segregation in Austin than in any other major metropolitan area in the U.S. To be fair, it’s hardly an issue unique to Austin; three of the five most economically-segregated cities are in Texas. For Austin, the problem began with a community master plan crafted in 1928. It was drawn to drive black residents to the eastern portion of the city. Prosperity, meanwhile, rose virtually everywhere else. In Austin today there’s a firm belief that smart cities technologies are the tools that will finally allow the city to sharply reduce that segregation, providing an opportunity that hasn’t existed before. But smart cities technologies by themselves won’t do that. The city also has to be smart about using them. Kerry O’Connor, Austin’s Chief Innovation Officer, talks about how initiatives that seem like good ideas can actually double-down on racism. Case in point: Boston developed an app that uses sensors within a smartphone to detect when its owner has driven over a pothole, automatically alerting the city’s public works department. Sounds great, right? O’Connor asked participants to consider where an app like that would likely to be used in Austin. Given that it requires a smartphone and a data plan, the city is likely only to get pothole reports from more prosperous areas. If those are the only potholes the city responds to, the economic divide grows. But to raise underserved populations up, you have to know if the voices that you need to listen to are not at your table. Austin Data Architect Ted Lehr says that when cities focus on deploying technology, they usually focus on “people like us” — professionals with good jobs. He said they have to find ways to reach those who aren’t usually reached. Workshop participants had a wide range of suggestions, but several spoke directly to the issue of making the city more inclusive. To the issue of hearing from people who don’t usually have a voice in government, participants suggested setting up kiosks in neighborhood meeting places that would provide information and gather feedback through polls and surveys. Participants also encouraged the city to develop communication strategies with a variety of personas in mind, realizing that a one-size-fits-all strategy doesn’t reach all. Participants also want the city to do a better job of using data to help people find affordable housing. One idea involves creating a portal that allows people seeking housing to better see what’s available and to allow owners and prospective tenants to interact in real-time. On a longer-term basis, they envision a tool that sifts through all the available properties and suggests places that meet an individual’s needs and using predictive analytics to develop more innovative affordable housing projects. They also asked about the legality of suspending some rules in small areas in order to test affordable housing concepts. Quality healthcare is also a barrier for many, with lack of access holding people back. Workshop participants suggested developing a single medical-record system allowing all providers to get a comprehensive view of patients so that medical issues don’t slip through the cracks. Kevin Ebi is Global Managing Editor of the Smart Cities Council, which works to help cities become more livable, workable and sustainable. Learn how to host a Readiness Workshop in your own city.